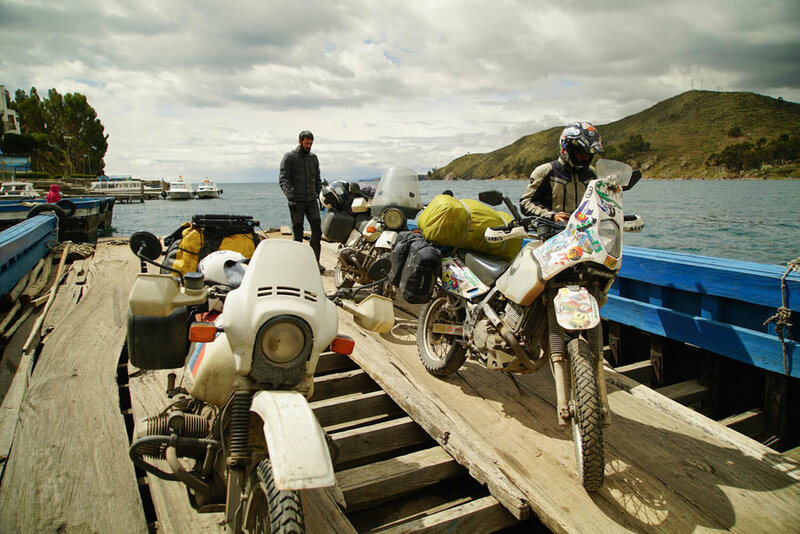 Having followed Matias Corea and Joel Estopà's 20,000 mile journey from Brooklyn to Ushuaia, we were eager to get in touch and hear more about their experience. What planted the seed for this trip? This trip was almost two decades in the making. From the first time we made our way down to the South of Spain on Joel's 1976 BMW r90/6 we knew we wanted to do a longer expedition. Every couple of years we went away for a week or two and whenever we saw each other, the conversation always came up. It always felt unattainable and impossible to find the time. In the summer of 2015, my sister Sol passed away unexpectedly at 38. I was 36. After a few months of looking at life from a completely different perspective, I realised that we don't have our entire life to fulfil our dreams. I had been postponing my dream way too long, it was time to do something about it. I called Joel and said: "I'm leaving October 10th, are you coming with me?" He said yes. Could you tell us a bit about the bikes? We took my 1985 BMW R80G/S Paris Dakar and Joel got a 1984 BMW R80ST. The conversion to a GS basically means changing the front forks which have 30mm more travel. The ST still has shorter travel on the rear wheel but it's minimal. We have both been riding a vintage BMW since we were 17 and so the love for these machines was already there. BMW has been making solid machines since the very beginning. Reliable long-distance engines that are low-maintenance, easy to work on and resilient, even in the worst conditions. We knew the road was going to be both tarmac and dirt so the GS was an obvious choice. When I came across Helge Pedersen's book '10 Years on Two Wheels', it made up my mind, if his 1982 GS had done 250,000 miles so could ours. Did you have many mechanical problems? Not many really. The big one was in Argentina. We stopped for lunch in Chilecito and heard a loud, metallic sound coming from inside Joel's motor. It didn't sound good. 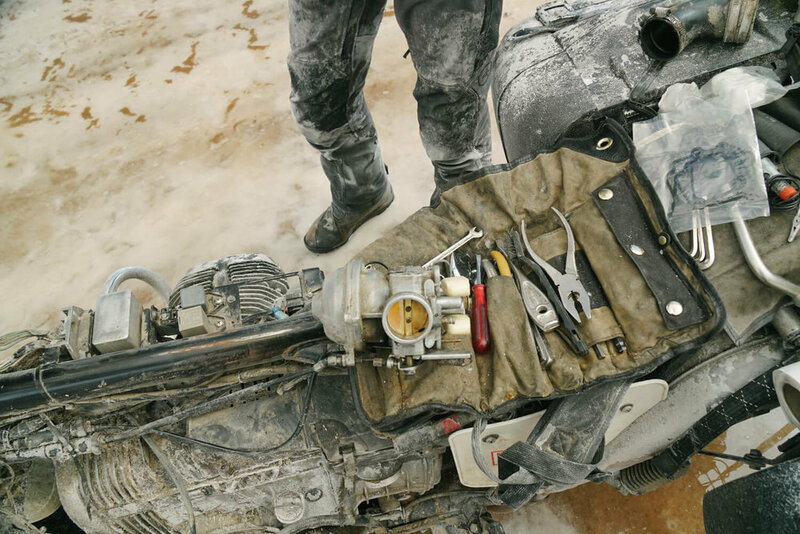 Even if the bike was running fine, a sound like that needs to be taken care for before further damage can land you in real trouble down the line. We found a place to sleep with parking and started work. We eliminated the simplest things first before moving on to the bigger issues. In the end, the transmission had to come off for us to find that the teeth on the flywheel had broken off. Now that's a big one and something you don't carry spares for. Finding this specific airhead flywheel was going to be a challenge, so we asked the universe (Instagram) and it responded. Someone connected us to a Carlos Degens in Mendoza who worked on BMW airheads and happened to own the same exact bike and had a replacement flywheel. What are the chances of that?! We found someone to drive us 700km south to Mendoza. It was almost eleven hours in a small car with a guy that was uncomfortable with silence and so talked, a lot. I was recovering from a backache and so slept through a lot of it in the back. It was nice to be driven for a day, to be able to observe the landscape in motion and reflect on the last few days. Carlo's workshop was at the end of a cul-de-sac, not too far from the centre of town. The main workshop was in a bit of disarray, boxes on top of boxes, parts loosely grouped with papers, and a small path that wove through piles of collected parts that have been waiting for a long time the day to be organised. Some mechanics live in that sort of organised chaos, they know where the parts are and the inventory lives in their head, almost with a savant's precision. We knew that he had it under control so we left it with him and checked into the hotel. The job of replacing the clutch is not complicated but requires being methodical, Carlos took three days before the bike was ready to ride. One of the most valuable reaffirmations I came back with is that people are inherently good and generous. Before my departure when I spoke to all sorts of people about my trip I could see the common thread of Central and South America being 'dangerous'. It's a passive assumption echoed by a group of people who have not actually been to the places they're talking about. At one point in Peru we got lost in the mountains. We had been on the bikes for eleven hours, the last two of which had been in the dark. There was no moon that night and so it was pitch black. We took a right turn at after a while, saw a light up ahead in the distance - the first signs of human life in seven hours. We approached and a man named Abraham greeted us. He was the owner of the land we were travelling through. We told him we were looking for Cajamarca and he said “you’re four and a half hours from anywhere, you should stay the night.” That was two minutes after they'd met us. That night, they gave us tarps for the wet ground, water and extra blankets for the icy nights you get at 4000 meters. 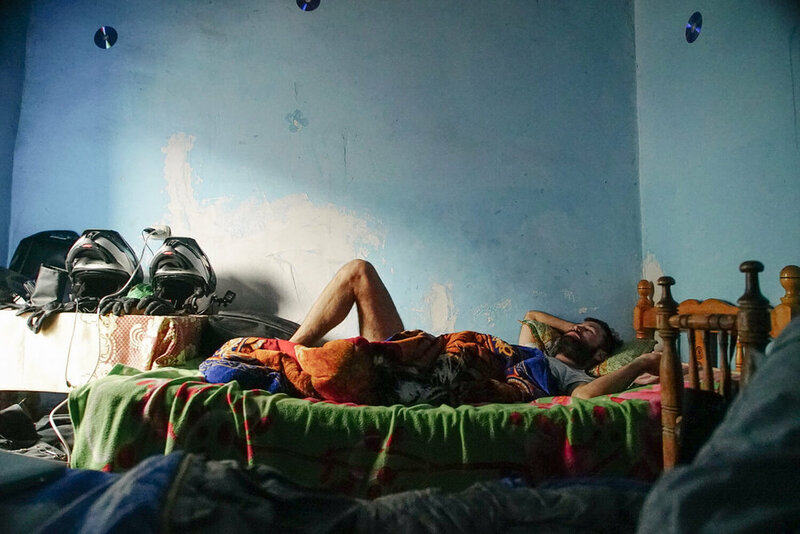 The next morning, we talked and took pictures, spoke about our travels, their life, heard stories of miners who travel four hours each way to work. We laughed at getting lost in the night. It felt like we had known each other for a long time. On this trip, I learnt time and again that if you have an open heart, people will always welcome you. What's one thing you wish you’d know before setting off? You can’t really plan your route. When you’re on the road you quickly learn that there’s very little that you can control, not even the bike you’re on. You can mitigate risk, and I think that’s wise, but you can never get rid of it completely and so it’s smart to learn to live with it. Maps are just a loose guide, in Central and South America you might find a landslide that has covered an entire road with eighteen feet of mud, gravel or rock. The only option is to either wait for a week or so for the road to be cleared or go around it. That might mean travelling for 3 days in a different direction to meet the same road again. Be ready to turn around and change course. After it happens a few times, you learn it’s just the way it is and it won’t even phase you. On top of that, there’s changing weather, sickness, new friends, local’s advice… everything will play its part, and it should. My best advice is to have an idea of the countries you want to see and go, one mile at a time, one day at a time. Could you share one of your most vivid memories for the trip? We took a left off the main road along a dirt road and after a short time, it broke down into a couple tracks. We were riding through the landscape in southern Bolivia. The land extended in every direction, the sun was going down and there was an incredible beauty, and a sharp sense of isolation and calm. I felt small. I had an overwhelming feeling of how minuscule we are compared to the enormous landscape. Nature untouched, reigning over us, it humbles you. An interminable landscape as far as we could see. It moved me, and I can still feel the sensation of that moment, and its presence in me today. If you know anyone else who would be interested in discovering Matias and Joel’s journey, please feel free to share this with them.